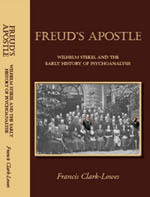 As the title of this book indicates, its primary focus is on the early years of psychoanalysis when Stekel was still a member of the Vienna Psychoanalytical Society. It contains the most comprehensive overview yet of Stekel’s very significant role up to 1912 when he was expelled from the Society. In addition, the first chapter continues the story of Stekel’s life, and his interactions with Freud, up to his death in 1940. The bibliography of Stekel’s work is the most extensive ever published, including as it does his very considerable journalistic work. 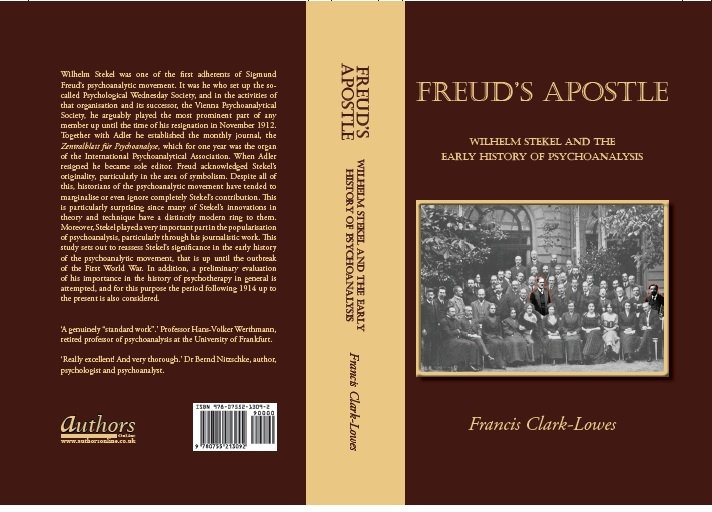 All in all, this book will prove indispensable to researchers in the field of psychoanalytical history. See also the entry for my book on the Authors Online website. 1997 Article in Austrian bi-lingual journal Relation (1997, No. 2): ‘Wilhelm Stekel’s Journalistic Achievement, 1901-1914: The Challenge to Therapeutic Nihilism’. 1999-2000 Series of articles in Palestine News, Nos. 81, 82 & 83 Series title: ‘What’s it all about?’ Articles ‘The real plot in the play’, ‘Questions of Identity’, ‘Arab Identity’. 2000 Paper given at conference on ‘Freud: Dreaming, Creativity and Therapy’ to be published as proceedings ‘Freud, Stekel and the Interpretation of Dreams: The Affinities with Existential Analysis.’ Expected publication Spring 2001 in special number of Psychoanalysis and History (Artesian Books). 2002 Two entries for French Dictionnaire international de la Psychanalyse, directeur. Alain de Mijolla. ‘Stekel, Wilhelm (1868-1940)’ and ‘Etats d’angroisse nerveux (Les)’. Publication by Éditions Calmann-Lévy.